Tristania are delighted to announce that they will be part of the 2nd edition of the “70000 Tons of Metal” Caribbean cruise. The World’s biggest floating metal festival will go ahead from January 23rd – January 28th 2012, at a 2.700 capacity cruise ship, leaving Miami (US), and visiting the capital of Canvey Island, George Town before returning to Miami. 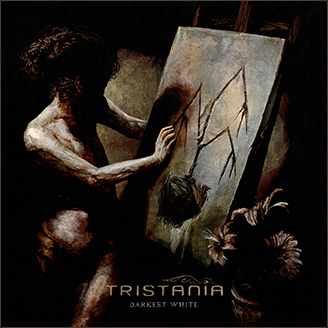 Tristania was in the first group of bands to be announced, together with My Dying Bride, Stratovarius, Grave Digger, Eluveitie, Pestilence and Therion. 33 (!) more bands will be announced. “We’re amazed at being invited. This is probably going to be a once-in-a-lifetime experience for the band, and we’re already looking forward to January 2012.” the band says. Check www.70000tons.com for more info and booking information. More festival and tour news to come within the next few days. This entry was posted in News and tagged 70000 tons of metal, caribbean, cruise, live, tristania. Bookmark the permalink. 7 Responses to Want to go cruising with Tristania? Hell yeah I do! I’m going! See you there! This is the Life Trip. One and only. Paradise !!! I was on the 70,000 tons cruise last year and it’s an experience you do not want to miss. I’m already booked for next year. And by the way, it’s Pestilence, not Perstilence. whomever misspelled that is obviously not a fan of death metal. Believe me, 70,000 tons 2011 was AMAZING!